Spring cleaning isn’t only for your home. 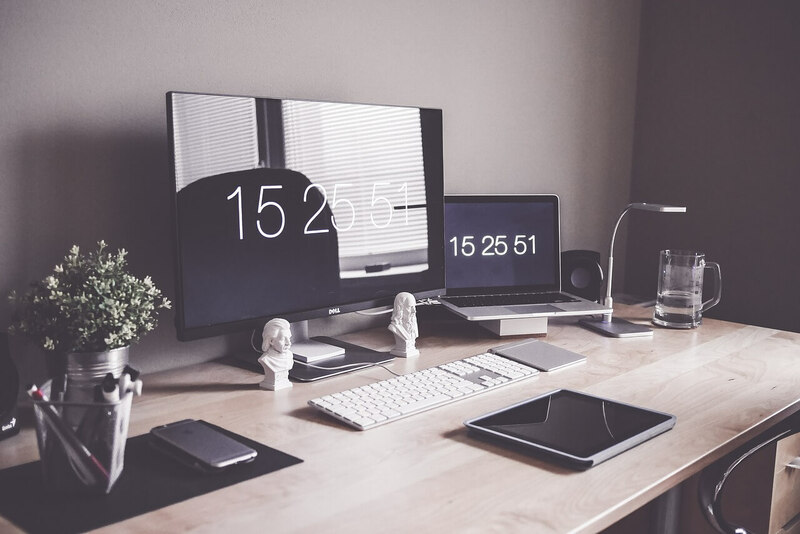 A thorough deep clean of your office space is good for your productivity and your health also to avoid any accidents at work, so don’t skip out on these important steps when you do your yearly office scrub down. Change your air filters. There’s no substitute for good air quality when it comes to health, so change your air filters or at least clean them off. While you’re at it, clean out all your ducts. Getting dust and grime out of the air improves respiratory health and gets rid of any nasty toxins living in your ducts. Upgrade your signage. If any of your signs, such as directions, caution signs, or wet floor signs need repairing, fix them up! Wipe everything down and make sure everything is visible. This helps draw attention to any problem areas and can prevent injury. Replace dim light bulbs. Well-lit areas reduce the chance of slip and fall, so swap out any of bulbs that have gone out. You may want to upgrade dim bulbs to brighter ones, or even switch to LED lights for even better visibility. Clean your windows. Speaking of light and visibility, clean windows make it much easier to see. Give them a scrub down and let the light in. Don’t forget to get both sides! You may also benefit from pruning the branches outside the window to let more light in. Repair cracks in the flooring. Not only crack unattractive, but they can also be dangerous. Have your damaged floors repaired to prevent slip and falls? Depending on the size of the crack, you may be able to do a patch job yourself. Even if you can’t repair the entire thing, take steps to reduce the likelihood of anyone taking a spill. Safely dispose of toxic waste. Old paint and other heavy chemicals shouldn’t be sitting around in your closets. Look up your local area’s trash removal policies for any chemical products to get them out of your office. You’ll have fewer chemicals around and more space to boot! Sterilize kitchen equipment. Coffee machines, hot water boilers, microwaves, and dishwashers can all harbor disease. Give them a rigorous cleaning to kill any bacteria. This is especially important with coffee machines, which can be easily sterilized with a vinegar rinse. Organize cords. If your cords are loose, they pose a potential safety hazard. Cords underfoot are a big trip hazard, so reorganize to see if you can get them out from high traffic areas. Replace any damaged cords with exposed wires, as these are a fire risk. Surge protectors are a big help, but remember to never plug a surge protector into another surge protector. Clean safely! Remember to always wear gloves and a face mask when cleaning with harsh chemicals. Be careful which chemicals you mix, and always ventilate areas when you’re cleaning with bleach. Good luck, and happy cleaning. At The Barzakay Law Firm we have a long standing tradition of providing our clients the utmost in professional legal representation during their time of need. © 2016 All rights reserved. Designed by Sensation Enterprises.